Today I am sharing another lemon flavored dessert. Lemon poppy seed muffins with a creamy lemon glaze. These muffins are full of fresh lemon flavor because you add both the zest and juice into the muffin batter. And of course, the poppy seeds add a nice texture and crunch to these muffins. 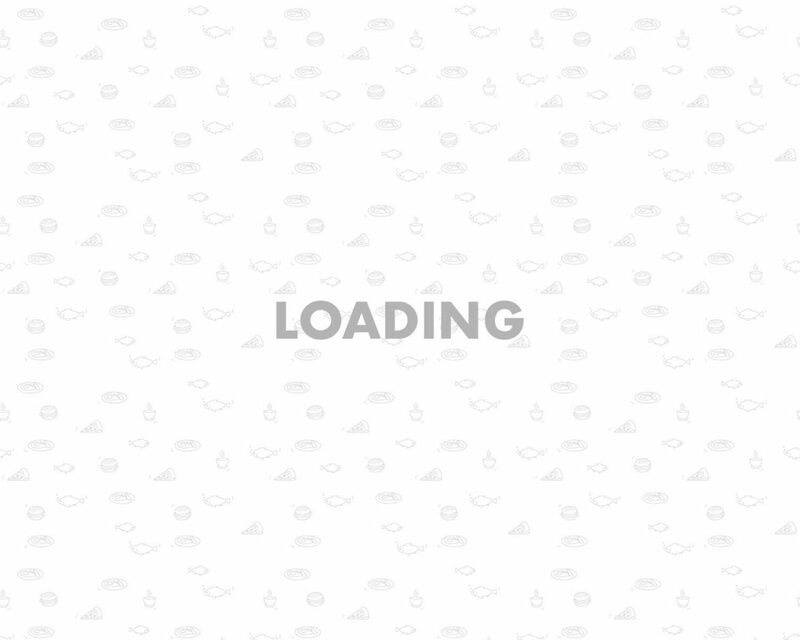 You can find poppy seeds online or at the grocery store. If they are not available near where you live, you can always leave them out. You can mix up the batter easily by hand in a large bowl. This recipe makes about 12 regular sized muffins. 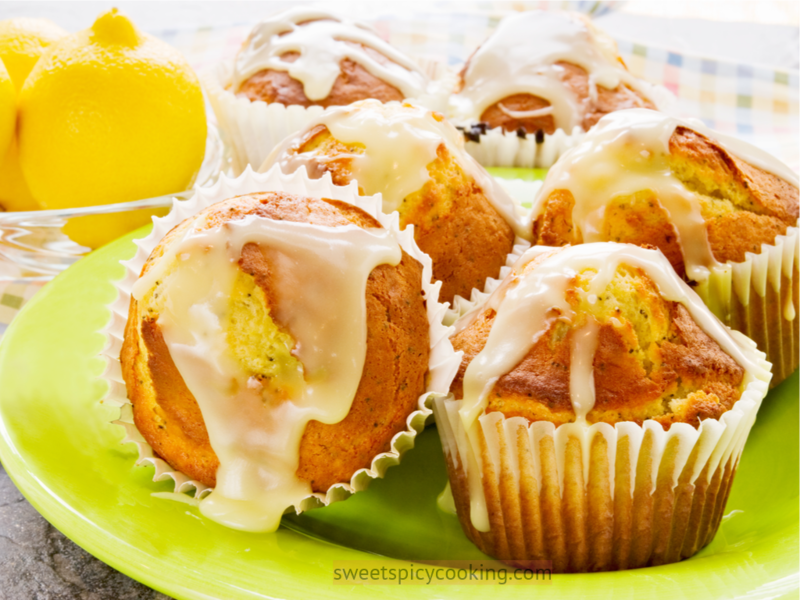 To top off the baked muffins, you can make an easy and creamy lemon glaze that is full of fresh lemon flavor as well. These muffins are a perfect treat for the summer and also make a nice breakfast accompaniment. If you love lemon flavored desserts, check out these lemon ricotta cookies. I would love to know your favorite lemon flavored desserts in the comments below! Preparing the muffins: Preheat your oven to 425° F. Line a 12 count muffin pan with paper liners or you can grease the bottoms and sides of the pan lightly with butter. In a large bowl, incorporate all of the dry ingredients well using a whisk, including the flour, both sugars, poppy seeds, baking powder and soda, and salt. In another bowl, mix together the wet ingredients, including the fresh lemon juice, lemon zest, eggs, yogurt, and vanilla paste. Add the wet ingredients into the dry and mix them together only until all the ingredients are well blended. TIP: It helps if you use a spatula at this point to get to the bottom of the bowl so no dry flour remains unmixed. Take spoonfuls of the batter and add them into the muffin pan, filling all the way to the top. Bake for 5 minutes first at 425° F. Then, lower the oven temperature to 375° F and bake for an additional 10-15 minutes or until the top of the muffins are a light golden color. Keep an eye on the muffins during the last five minutes. TIP: You can insert a toothpick in the center to check for doneness. If it comes out clean, they are done. Take the muffins out from the oven and let them cool about 10 minutes before removing them from the pan. Preparing the lemon glaze: Mix all the ingredients listed for the glaze in a small bowl. You can add more powdered sugar to make the glaze thicker or more cream/milk for a thinner glaze. Drizzle or spoon the glaze over the cooled muffins and let the glaze set for about 10 minutes. Enjoy! Storage: You can store the muffins in an airtight container at room temperature for up to a week. You can freeze the muffins for up to 3 months.